It’s gradually starting to get cooler around here, and there was a harvest moon on Monday night. I’m beginning to click into fall mode and therefore, fall fashion mode. 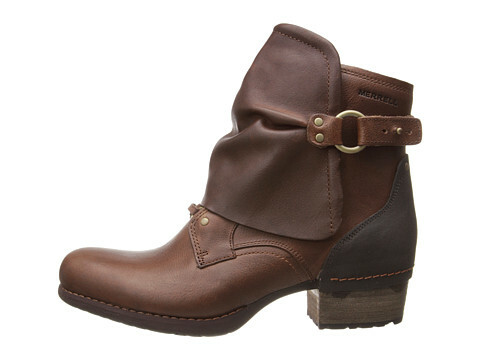 Thus it follows that I’ve got boots on the brain. It’s a seasonal affliction. This week’s Field Fashion Friday features the Shiloh Cuff boot by Merrell. 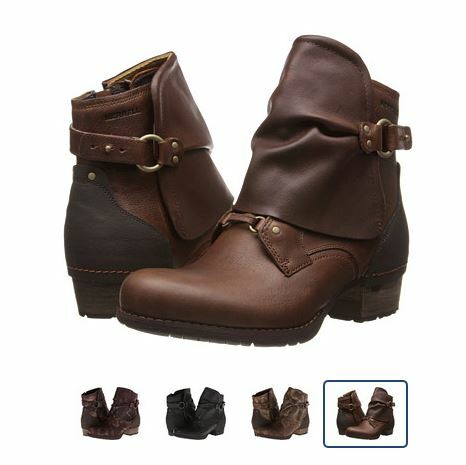 I haven’t seen many boots with a cuff like this, so this is distinct from what else is out there. The cuff is removable, in case one day it doesn’t work with your outfit. While they aren’t good for summitting Everest, they’d be perfect for light intensity outdoor activity. I’m not climbing Everest any time soon so these would work with my real life on flat ground here in Texas. You can wear these in town, paired with nicer jeans, or out in the country in the brush. Merrell is a great brand in my book. Very reliable. Made with real leather upper and a mesh lining inside with odor control technology. Not a paid advertisement. Just me sharing what I like. No Replies to "Field Fashion Friday: Fall Boots"